That enigma was resolved in 1953, in two scientific articles by James Watson and Francis Crick of the University of Cambridge. First, they suggested that the DNA molecule was composed of two parallel spirals that were mirror images of each other, with the sequence of bases on one spiral being matched by the sequence on the other – the double helix. Then, five weeks later, they boldly stated that “the precise sequence of the bases is the code which carries the genetical information”. They argued that the DNA molecule contained a code that told the cell what protein to make. Immediately, the physicist George Gamow suggested that the code must use sequences of three “letters” or bases. Given that there were 20 amino acids, a two-base code would not work (there are only 16 possible two-letter combinations of the four bases). A three-base code would produce 64 possible combinations – easily enough to encode the 20 amino acids. It had been previously suggested by researchers such as Dounce (1952) and Caldwell and Hinshelwood (1950) that the order of the bases might in some way enable a gene to synthesise proteins, probably by acting as a physical template (Dounce even argued that three bases would correspond to a particular amino acid, which turned out to be right, but not for the physico-chemical reasons that Dounce argued). In 1950, Erwin Chargaff had suggested that a single change in a base could lead to a mutation, but again he viewed this in terms of a physical change to the DNA molecule. The great step forward made by Watson and Crick in their second paper was to take these pre-existing ideas and reshape them in a less literal form. The sequence of bases was no longer seen in terms of a physical template for protein synthesis, but as something far more abstract – a code carrying genetical information. Watson and Crick with their model of the DNA molecule. Crick is pointing with a slide-rule. Note the sketch of the double helix, by Crick’s wife Odile, pinned to the wall. What is intriguing is where this novel interpretation came from. The first person who explicitly suggested that genes contained a ‘code-script’ was the physicist Erwin Schrödinger, in 1943. Although his ideas were widely-read, there were few attempts to explore the idea of a ‘code’, because the physical nature of the gene was unknown. Watson was here as an undergraduate, and was first interested in ornithology. He said his interests changed when he read Erwin Schrödinger’s 1944 book What is Life?, which inspired many biologists to work on the molecular basis of inheritance. This seems to be a pretty clear explanation of the concept of chromosomes carrying a genetic code. I have noted before that Watson is still bragging about stealing credit from R. Franklin for the chemical structure of DNA, while Franklin is also accused of failing to make the inductive leap. Watson and Crick did figure out that the DNA base pairs are matched, but the real leap was to say that the DNA contained the genetic code. That leap appears to have been make by Schroedinger in 1944. I mentioned previous surveys of foundational attitudes, and now there is another poll of physicists on quantum mechanics. This poll has 63% saying their favorite interpretation of quantum mechanics is De-Broglie-Bohm, and 70% saying that Bohr was wrong. It appears that physics has regressed over the last 80 years. 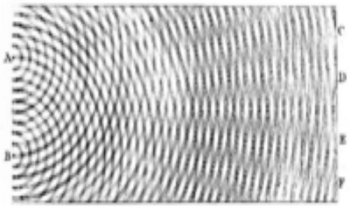 The De-Broglie-Bohm interpretation doesn't even make much sense, and has not been extended to enough situations to be useful. It is much stranger than conventional interpretations. It is misguided for reasons that Bohr correctly explained decades ago. Physics is in a sorry state. It used to be that it was led by people who could reliably tell us what is correct. Okay, they can tell us whether there is a Higgs bozon boson. But why can't they give us better answers to these questions? The ad hoc-charge against the SMHM [“Standard Model Higgs Mechanism”] is interesting from a philosophical point of view on several grounds. First, the claim that our currently best theory of fundamental particle physics is based on an ad hoc-hypothesis sounds alarming and is certainly worthy of consideration in itself. Second, there exists a longstanding philosophical debate about the notion of adhocness, to which eminent philosophers of science such as Popper, Lakatos, Schaffner, Grünbaum, Leplin and others have made important contributions. This gives rise to the question of whether the SMHM qualifies as “ad hoc” according to any of these philosophers’ accounts of adhocness, and what the possible ramifications would be. Third, it seems natural to ask what impact the recent experimental discovery of a Higgs-like particle at the LHC has on the status of the ad hoc-charge against the SMHM. This concept of adhocness may seem stupid, but it is the main reason those philosophers of science credit Einstein for special relativity. See for examples Brush, Singh, Hawking, Zahar, Kacser, Kragh, and Rigden. Einstein made his reputation on his most famous paper, his 1905 special relativity paper. But he had trouble explaining how it was an advance over previous work. Lorentz had the FitzGerald contraction, local time, constant speed of light, rejection of aether motion, relativistic mass, transformation of Maxwell's equations, and explanation of Michelson-Morley. Besides all that, Poincare had the clock synchronization, relativity principle, viewing the aether as a convention, E=mc2, Lorentz group, spacetime, non-Euclidean geometry, electromagnetic covariance, and gravity waves. Others at the time described Einstein's paper as just a presentation of Lorentz's theory, and no one thought that it was as advanced as Poincare's work. Einstein's response was that Lorentz's theory was "ad hoc", and that he did not understand Poincare's 4D theory. Philosophers gradually picked up on this concept, and now a majority of Einstein scholars agree. They say that Lorentz was ad hoc in the sense that he paid close attention to experiments like Michelson-Morley. Einstein's innovation, they say, was to present relativity as a paradigm shift that ignores experiment. They blame Lorentz and Poincare for failing to be true believers in the new relativity religion, because they both said that experimental evidence could prove them wrong. Philosophers went on to say that the great scientific revolutions are reworkings of previous theories that have no measurable advantages. Einstein's genius was to detach himself from the physical world. Theoretical physicists have largely adopted this view, and get most excited about untestable ideas like string theory, multiverse, many-worlds, etc. All of this is horribly misguided. Special relativity comes to us from Lorentz, Poincare, and Minkowski. Einstein had almost zero influence on the creation or acceptance of the theory. Lorentz and Poincare were very much concerned with explaining the physical world when they developed the theory. Those who use Einstein as an example of the merits of incommensurable paradigm shifts are just wrong. All of this is detailed in my book, How Einstein Ruined Physics, and on this blog. So the invention of the Higgs mechanism in the 1960s was ad hoc in the sense that it was an attempt to explain how a gauge field could be short-range, and the weak and strong forces were observed to be short-range. How is this a criticism? Of course physicists respond to data when formulating their theories. That is how it has always been done, until Einstein wasted away his post-1925 life on unified field theories, and string theorists took over in 1980 or so. There are no clues in the available scientific data about how these problems might be solved, and theorists have been obliged to speculate. But, in Farewell to Reality, I argue that in their ambition to develop a "theory of everything", some theorists have crossed a line. The resulting theories, such as superstring theory (or M-theory), are not grounded in empirical data and produce no real predictions, so they can't be tested. Albert Einstein once warned: "Time and again the passion for understanding has led to the illusion that man is able to comprehend the objective world rationally by pure thought without any empirical foundations – in short, by metaphysics." Now, metaphysics is not science. Yet a string of recent bestselling popular science books, supported by press articles, radio and television documentaries, have helped to create the impression that this is all accepted scientific fact. Physics has gone too far. Quantum theory, for example, was largely driven by empirical results, whereas Einstein's general theory of relativity was more a product of speculation and thought experiments (contrary to what your quote implies). Speculation, then, is a vital part of the scientific process. When Paul Dirac wrote down his equation describing how quantum particles behave he wasn't just explaining the electron, whose properties had been well established in experiments. His equation also predicted the hitherto undreamed-of positron, and hence the whole concept of antimatter. Quantum theory was driven by data, but so was relativity and Dirac's theory. Poincare first conceived relativistic gravity in order to understand the finite propagation of gravity and the precession of Mercury's orbit. Theories rarely spring fully formed from the minds of their discoverers. Chapter 2 of your book reminds us that it took 30 years of quantum entanglement (Einstein's "spooky action at a distance", proposed in 1935) before John Bell made a falsifiable prediction and another 20 before Alain Aspect tested it experimentally. Was all the entanglement research done in the meantime, including Einstein's, unscientific metaphysics? I don't think so. The Higgs mechanism was proposed as a way of explaining the short-range nature of nuclear forces. Yes, the particle was only found 50 years later. Einstein's quantum work was unscientific metaphysics. Einstein and Bell were trying to prove quantum mechanics wrong by showing some supposedly counter-intuitive aspects of it. If they had turned out to be right, and they had inspired someone to disprove quantum mechanics wrong, then I guess I would have had to admit that they were onto something. But it is clear now that they were barking up the wrong tree. It was also the opinion of the leading physicists at the time of Einstein and Bell that they were barking up the wrong tree. Baggott is right that theoretical physics has become Fairy Tale Physics, as explained in this podcast or my book. Companies, like civilisations, advance by leaps and bounds when genius is let loose, not when genius is locked away and deemed too out of the mainstream of data-driven knowledge. Today, Einstein might be looked at as a curiosity, an “interesting” man whose ideas were so out of the mainstream that a blogger would barely pay attention. Come back when you've got some data to support your point. No, this popular view of Einstein and of scientific breakthroughs is entirely wrong. Relativity and quantum theory were driven by empirical support. Special relativity was driven by Michelson-Morley and electron beams. General relativity by Mercury's precession and starlight deflection. Quantum theory by atomic spectra. We called them breakthroughs because they did explain the data, not because they did not. Einstein is commonly praised for ignoring data and thinking deep thoughts. However this praise is misguided, and there are very few examples of science progressing that way. 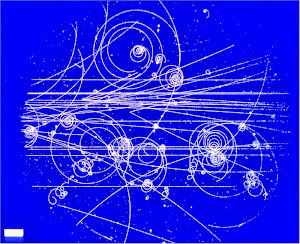 I want to believe as much as the next person that particle physicists have discovered a Higgs boson, the so-called “God particle,” one with a mass of 125 gigaelectronic volts (GeV). But so far I do not buy the statistical claims being made about the discovery. Since the claims about the evidence are based on “statistical significance” – that is, on the number of standard deviations by which the observed signal departs from a null hypothesis of “no difference” – the physicists’ claims are not believable. Statistical significance is junk science, and its big piles of nonsense are spoiling the research of more than particle physicists. Consider again the illogic of the physicists’ procedure. The signal in the data which has been observed over and above background noise (denoted as being at 5 sigma) is possibly a Higgs boson – that is true. But in sober moments – when flash-bulbs fade and fizzy drinks fall flat – those same particle physicists admit that the jury is still out – that the statistically significant bump could be “consistent with” other plausible hypotheses, not specified by their models – just like Mrs. Smith could have died of something other than cramp, and probably did. He has a point, if the 5-sigma significance were the main evidence for the Higgs boson. There is danger in relying on p-values too much. Inspired by an essay written by physicist and novelist Alan Lightman, Robert pays a visit to Brian Greene to ask if the latest developments in theoretical physics spell a crisis for science -- where we find we've reached the limit of what we can see and test, and are left with mathematical equations that can't be verified by experiments or observation. Lightman is expanding this essay into a book. I guess it will explain how the world's leading physicists have wasted their careers on untestable theories that were supposed to explain the universe from first principles, but they have now all decided that we live in a multiverse that can never be explained. Greene apparently still believes in some sort of mathematical theory of everything.